We are currently seeking experienced servers! 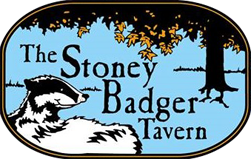 Copyright © 2019 The Stoney Badger Tavern. Lynchburg, Virginia. All Rights Reserved.